There it is - the newest picture book that I got to write the text for. 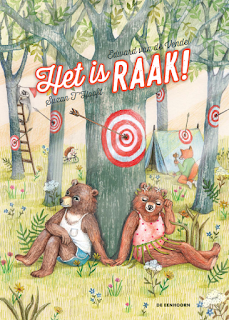 It's the stunning debut of Suzan T'Hooft: HET IS RAAK! which translates as BULLSEYE! It's about those two shy bears - who are in love, but they don't dare to admit that. They have groups of friends around them that try to make them get closer to each other, but that plan doesn't turn out too good. BULLSEYE! is a visually overwhelming picturebook, a true grand entrance in the children's books world by a very promising illustrator. 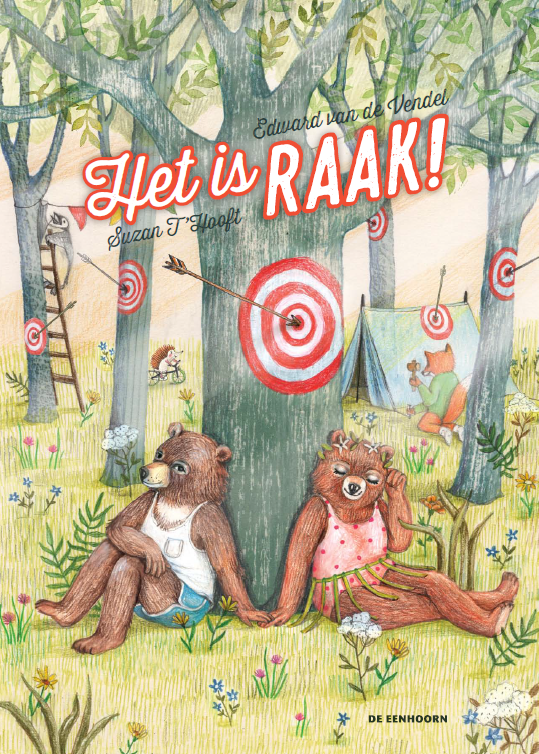 It was published by De Eenhoorn and rights can be seen here.